In 2017, the National Defense Authorization Act (NDAA) brought about major changes in how military retirement benefits are divided in Virginia divorce. Prior to the enactment of this law, state courts were not required by the federal government to follow a particular methodology in dividing a servicemember’s military retirement. The typical method of dividing military retired pay in a Virginia divorce was to apply a fraction to the military service member’s final disposable retired pay (DRP). This fraction was calculated by dividing the number of years and months of creditable service had been accumulated during the marriage (from the date of marriage to the date of the parties’ final marital separation), and dividing that by the total number of months and years of service acquired over the service member’s military service. The resulting fraction would then be multiplied by the final DRP to yield the marital share of the military retirement, and then the court would apportion that marital share between the parties. For an active service member, this meant that the DRP subject to division with the former spouse would include the increases in rank and pay grade that occurred after the parties were separated and divorced. So the fraction would be applied to a DRP that was greater than what the service member would have actually been entitled to at the time of separation or divorce. This was of benefit to the former spouse, of course, because the DRP to which he or she would be entitled to claim a share of at the time of retirement was increasing over time. However, the “flip side” of that coin is the the denominator of the marital fraction was also increasing, resulting in a decreasing marital share over time. The NDAA of 2017 changed the amount of DRP that was subject to division in divorce. It mandated that, in a divorce involving the division of a not-yet-retired military member’s retirement, the service member’s DRP would be “frozen” at the rank and pay grade he or she was receiving at the time of divorce. So, if a military member was a Captain at the time of the divorce, the DRP subject to division with his or her former spouse would be at the rank of Captain, not the DRP of the service member at the time of actual retirement. This is what was previously known as a “hypothetical” award, one in which it is “hypothetically” assumed that the service member retired at the time of separation or divorce. 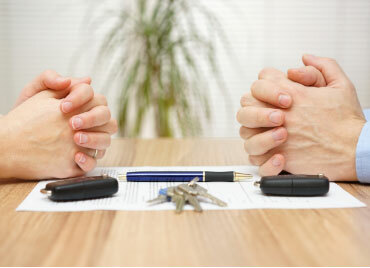 This has significant impact on both the service member and the former spouse of the service member in a Virginia divorce. The “marital share” is still calculated the same, in that we still employ the fraction that divides the years of military service during marriage by the total years of service. However, we no longer can apply that fraction to the final DRP for a service member who was not yet retired at the time of the marital separation. This means that, although the DRP is “frozen” in time, the marital fraction is not–the denominator continues to increase, resulting in a shrinking marital fraction as he service member approaches retirement. The effects of this relatively new, federally mandated, methodology in dividing military retirement in Virginia divorce, is one that you will want to discuss in detail with your attorney, whether you are the service member or the former spouse of a service member in a Virginia divorce action. Some people think it strange to hear an attorney talk about the benefits of staying out of court. But in child custody and visitation cases, it is absolutely essential that the client consider the risks and costs associated with litigation, and also the possible benefits of resolving the case by agreement. Please see Ken Hodge’s Read Article. Is child custody law in Virginia unfair to fathers?